Located in the south shore of the Bouregreg river, between the antique cities of Rabat and Salé, the Grand Theatre of Rabat is a 27K square meters construction, including two amphitheaters with 1.800 seats and 7.000 each one of them. 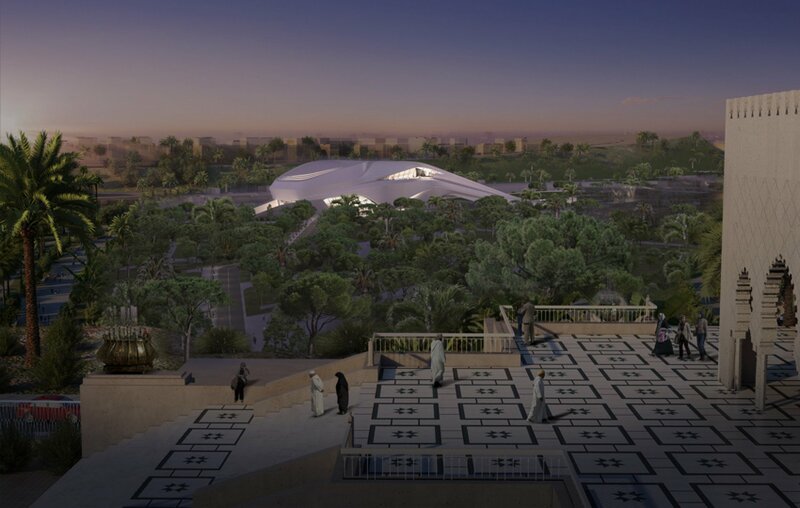 The large white building features the characteristic Zaha Hadid fluid lines, inspired by the river, and the interiors reflect the traditional architecture of the Moroccan muqarnas. 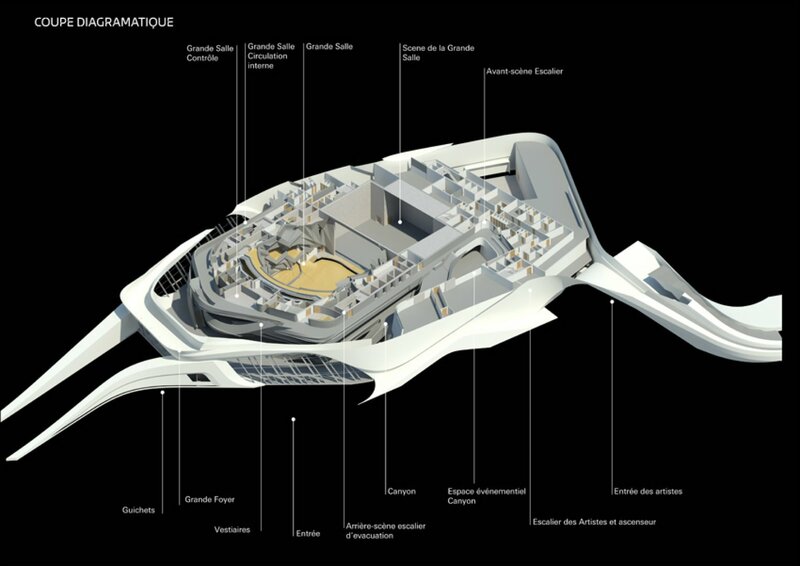 The project was created in a traditional 2D format, but in the APD phase in 2014, the local architect Omar Alaoui, recognized that the complex geometrical design of ZHA required a better coordination and use in 3D. The team had to work fast to develop a BIM workflow using Revit and LOD 200, more or less equal to the BIM level 1 so it could be used after the tender to produce all the documentation of the construction. However, the conversion became problematic because the construction sector in Morocco at the moment wasn’t familiar with BIM and the MEP and Structure consultors didn’t have departments with the needed abilities. Harry Ibbs, responsible of the BIM workflows in Zaha Hadid Architects trusted BIM: “Like some of many BIM projects, the construction contract goes against the BIM workflow real. The supply chain has been hired to promote the traditional 2D perks, using the AutoCAD DWG exit, but the complexity of the building geometry required to work with BIM 3D. The local consultants and contractors are currently working with BIM and Autodesk Revit, producing coordinated models with collision detection. Local companies tried to extract the DWG files from Revit, but they were too heavy and they had difficulties, they didn’t understand the need to generate reports of collision detections, some of the companies keep relying on the old DWG. In 2016 it becomes evident that the drawings from the local architects were inadequate. 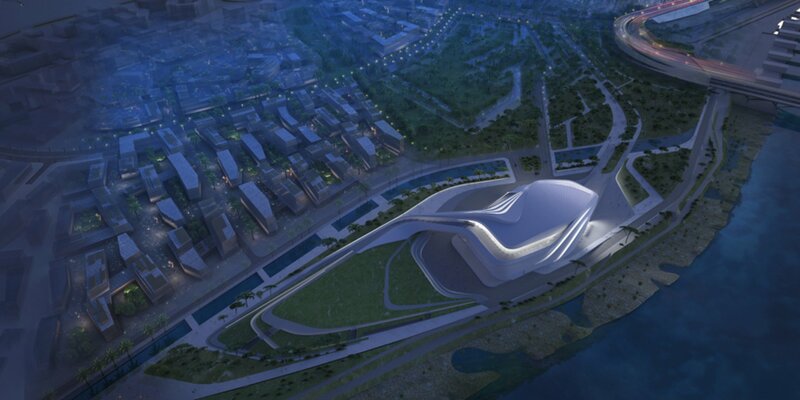 To avoid risks, the construction escalated and Zaha Hadid Architects committed with an additional job to help the local team to develop a project in a full BIM environment to help lower the construction conflicts on site. 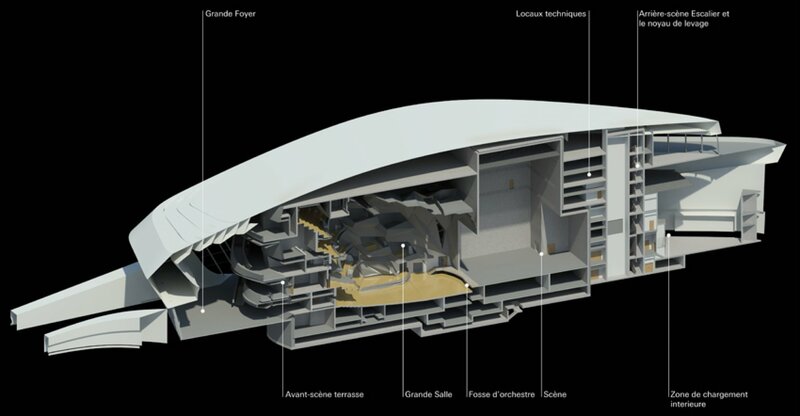 The surroundings were developed to fulfill with the LOD 350 and the local French CAD standards. “When we inherited the original BIM model, the MEP and the structure got in a conflict through the interior and the exterior walls, the doors collided with the floors, so it wasn’t possible to work without a deeper 3D coordination” stated Ibbs. On-site excavations and the foundations have already been completed, and intense efforts have been made to create a full coordinated model, including architecture, PEM, and structure, to allow superstructure work to resume. ZHA created both a BIM and a Rhino group, that has been working side by side with local agencies to solve the geometry problem. A Revit complement has been developed a custom-made by ZHA and has been used to extract automatically the original geometry from Rhino and Autodesk Maya, allowing the attribute information and the features associated with the 3D components. “The process allowed us to achieve a complete coordination and rationalization of the design by solving complex faceted double-curved surfaces and changing materials to reduce costs. The software helped us to visualize simultaneously a beautiful piece of the architecture and turn it in the dream of the contractor” stated Ibbs. Finally, the effort was worth it because, at the same time that work was going further on site, consultors and local contractors were working in BIM and Autodesk Revit, producing fully coordinated models with the clash detection. It is expected the project will be finished in 2020. “We knew the model was necessary to save money for both the client and the contractor, on the contrary, we would have had to drill concrete walls and floors to work in the structure and the HVAC plumbing/electricity.